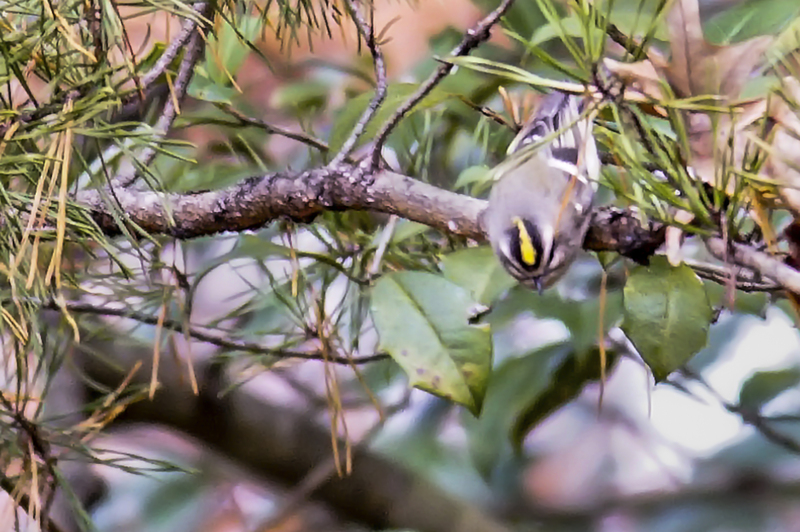 This tiny bird known as the Golden-crown Kinglet must have read my mind. I was thinking I’d like to get a good shot of its crown. No sooner said, he leans down to show me his famous icon, the the golden crown. As my friend and I walked the path at Noland Trail in Newport News VA, he noticed a fresh hole in an old tree. We weren’t sure what species made this nest hole. We were curious. So, the next day we brought are our tripods, cameras, and a stool. We set up our equipment about 30 to 40 yards from the base of the tree. The hole was about 40 feet up the tree and we waited patiently. Finally, it paid off. 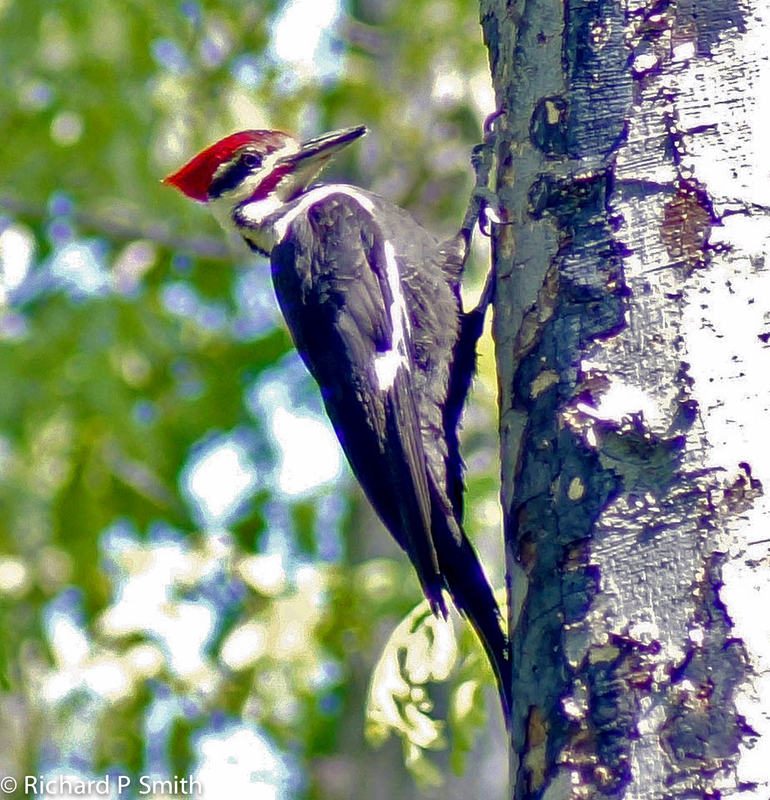 This pileated adult male, one of the most prominent birds of the forest flew in and clung to the trunk of the tree near the nest hole. 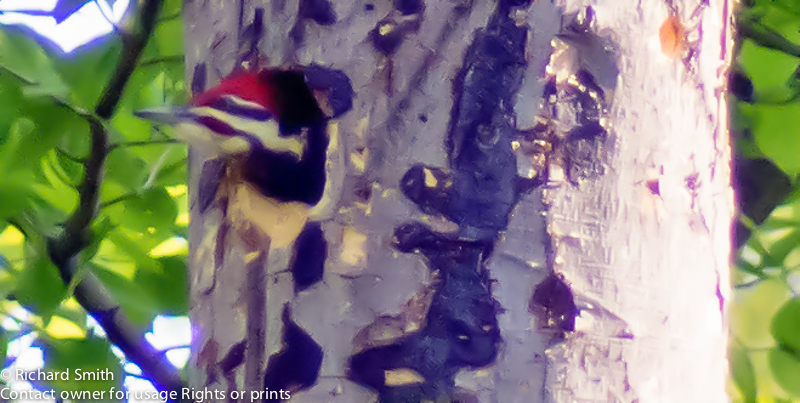 To my surprise, as he moved to the hole a pileated fledge peeked its’ head out of the hole. My wife and I walked out on the back porch in midst of a bright, clear morning. There was a little wind, but we could see the results of the thunderstorm. In the back yard, patches of grass tips peaked above the water that flooded most of the yard. Through out the yard laid twigs and branches. Puffs of wind pushed the fallen leaves on to spots of dry land. Natures’ symphony was at its best. Cardinals, wrens, and sparrows chirped their sounds of various notes of their musical scales. Seeds, nats and worms were of abundance for our feathery friends. These little birds playfully dove, swooped and skittered to catch their cornucopia of food. I said to my wife, “I am sure glad we were not outdoors through the storm.” We walked down the porch stairs. The soggy ground swished under our feet; it was like walking on a wet sponge. The muddy water glistened like shaking Jell-O. The sun light was getting brighter and stronger. I took a deep breath and filled my lungs with the clean fresh air, and it felt good. Storms seem to help clean, dust, and brighten Gods’ garden. I guess it is His way of house cleaning.